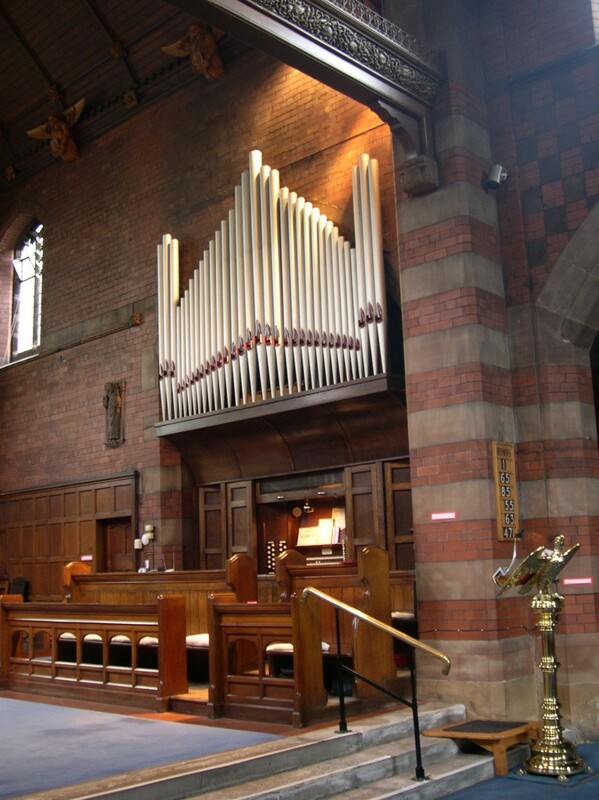 After many years of effort, fundraising, patience and a carefully crafted application, St Chad's Church has been successful in being awarded a substantial grant by the Heritage Lottery Fund for the restoration of our historic Harrison & Harrison organ. The total cost of the scheme is in the order of £106,000 and work on the restoration will start in the summer of 2019. The work is likely to take around four months. If anyone requires further information about the project, please contact Robert Nicholls about it (robert682nicholls@btinternet.com). When our programme gets going early next year, please make every effort to attend the events being put on and encourage our local community, particularly those who do not normally attend St Chads, also to attend and possibly offer their services in helping to run the events. No offer of help will be refused! Click here for an account of the history of the organ. There are photographs of the organ in its current state here. General view of the organ from the Nave. Most of the front pipes are decorative only. A full restoration scheme will not alter the general external appearance. Part of the problem ! The spaghetti-like pneumatic pipes. If a problem develops in or behind these, it is impossible to fix. In a full restoration scheme, they would be replaced by an electro-pneumatic system, which will make access much easier. Part of the problem. The 'drunken' pipes in the Swell Box. These are squashed together because of the 'mitre-ing', go out of tune and break easily. Our restoration scheme would provide an increased height will provide an increased height for the Swell Box, reducing the need to 'mitre' the longer pipes, and improving both sound output and ease of access for maintenance. General view of the organ console.